Barber & Associates have been helping Alaska slip-and-fall accident victims to recover compensation for their injuries for many years. Many people mistakenly think that a slip-and-fall accident is not as serious as other types of personal injury accidents such as a car crash. In fact, slip-and-fall accidents remain one of the primary causes of all types of injuries in the United States and are one of the most common reasons behind personal injury lawsuits. Every year, at least a million people are treated in emergency rooms from slip-and-fall accidents, while millions more go without treatment. Traumatic brain injuries, broken bones, spinal cord injuries and even death have resulted from serious slip-and-fall cases, while other accidents involve only minor injuries. However, no matter how serious the slip-and-fall accident, all victims have the right to be treated with respect and to have their injuries compensated by the negligent party. Dangerous surfaces. About half of all slip-and-fall accidents result from dangerous surfaces. This can include: floors that are wet, cluttered or contain loose flooring; defects in sidewalks; potholes; staircases with structural defects; torn carpet; and floors that have been recently mopped or waxed. Weather conditions. Many outdoor slip-and-fall accidents occur because of precipitation or other weather hazards. 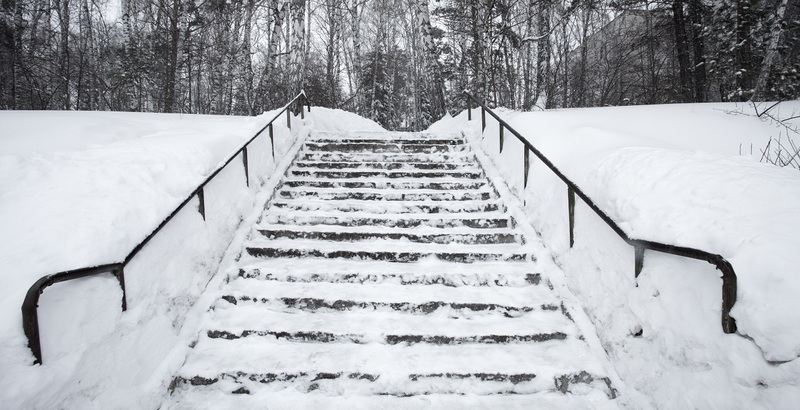 While not everyone who slips on ice has the right to sue, there are cases where a property owner knew or should have known that a surface would be dangerous and failed to take steps to prevent injury. In those cases, the victim may have grounds for a lawsuit. Nursing home neglect. Nursing home residents are especially prone to falls. It is very important that nursing home workers monitor patients carefully, keep walkways clear, and supply the right support for their patients, including walkers and wheelchairs. If a nursing home patient falls due to neglect on the part of the staff, the victim and his or her family may be able to collect compensation. Improper workplace gear. The workplace also sees many slip-and-fall injuries, often because workers are not supplied with the proper gear. If you work in a job where slips and falls are possible, it is your employer’s responsibility to see that you are given or acquire the right safety gear before going to work. Failure to do so could result in liability on the part of the employer. Barber & Associates can help you understand your rights when you have been the victim of a slip-and-fall accident. Call today to discuss your case.